Posted on March 13, 2013 by Josh Wise. Yesterday I did absolutely nothing! But I wasn’t alone. I was joined by almost 4 million other people. Yesterday was the Balinese holiday Nyepi. It’s a day of silence. It’s 24 hours without making sounds or using lights. Nobody leaves their home. There are no cars on the road. No motorbikes buzzing by. No airplanes flying into or out of Bali. Imagine the stillness: 4 million people living quietly and by candle light for 24 hours. Well, it wasn’t quite silent in my house. In fact, it was far from it. With two young children, there were lots of giggles and whispers and joyous outbursts throughout the day. For the most part though, It was a day of quietly connecting with those who matter most. It made me realize that it really is possible to put life on pause for a little while. If an entire island can do it for 24 hours, then it must be possible for individuals and couples to find time to pause for 24 minutes. Even 24 seconds would be a good start for a lot of us. So how do you set aside time for quiet? up to Nyepi, each village builds a giant monster called an Ogoh-Ogoh. different–representing the unique creative expression of each village, but each is terrifying and grotesque in it’s own way. Some have fangs dripping with blood. Some have claws that carry the entrails of slain victims. Many appear to be running, reaching out, ready to chase and destroy. These monsters, however, are put to the highest good all over the island. On the eve of Nyepi, these grotesque creatures are carried through the streets to scare away the bad spirits and to cleanse the land. It’s a raucous celebration that includes the clash of cymbals and the beating of drums as the grotesque beasts parade through the streets, each one carried by thirty members of the village. You see, this elaborate ceremony and celebration is a way of ritualizing this day of silence. By marching monsters through the streets, the Balinese are preparing their island and themselves for silence. It signals a shift in consciousness. It stands as an acknowledgement that these monsters exist. They might not exist hidden in caves or under the sea, but they exist in some form in each one of us. I see them as the monsters of the mind. They’re the monsters of self-doubt and self-criticism. They’re the monsters of addiction–to alcohol, television, email, work–that rob us of our time, our clarity, and our compassion. They’re the monsters of impatience, accusation, and resentment. To some degree they exist within each of us. Sure, we try to ignore them or to deny their existence, but they’re there. These monsters rear their ghastly heads in the form of harsh words toward your partner or a shutting off of warmth toward the one you love. You’re not the only one who has these little monsters inside of you. Your partner does too (you already knew that, didn’t you?). So how do we deal with these monsters? 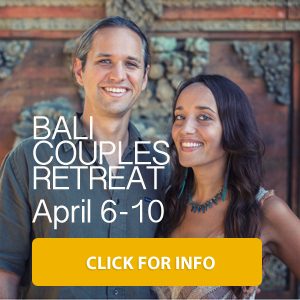 I think the Balinese have given us a good outline for this in their Nyepi celebration and I think that this outline can serve to help deepen your relationship. The first step is to acknowledge your monster. What is holding you back from loving yourself fully and giving yourself fully to your partner? It can be scary to see that some part of you is holding you back. It can be scary to own that part of you that you leastwant to look at, let alone own. 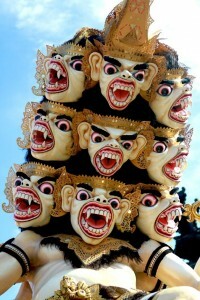 But remember that the Balinese use these frightening monsters for good. Once acknowledged and fully owned, these monsters within yourself can give you the courage and strength to cultivate intimacy and to love fully. These monsters are part of you and they hold the key to the gold that lies within your heart. How can you really acknowledge your monster? clear sense of how this mental monster is affecting you and your partner. Then think of ways that you can have this monster serve you. What bad spirits can this monster clear for you? As you take ownership of this part of yourself, what power and energy might be unlocked for you? List the ways in which this monster can be used for good. By cultivating quiet, you give your heart and your soul a chance to speak to you. There are so many distractions that keep you from listening. By cultivating quiet, you become receptive to the promptings of this moment. Set aside a small amount of time each day for quiet meditation. Commit to it. Tell your partner that you want his or help in doing this. This is a gift that you are giving to yourself and to your partner. If you need to wake up a little earlier, do it. If you need to take 15 minutes during your lunch break for quiet meditation, do it. If you need your partner to help with the dishes or to help get the children with their homework so you can have this quiet space, then ask. The two of you can work together to support one another in cultivating quiet. Help each other commit to this and make it happen. If you only have 24 seconds of time for quiet, make the most of those 24 seconds. Tune in with your breath. Tune in with your body. Simply be for those 24 seconds. After the Balinese have chased the bad spirits from their villages and spent a day in silent contemplation, they visit the homes of friends and families and offer apologies and forgiveness for past wrongs. How often do you allow little grudges and resentments get in the way of the flow of your love? When you look back on your life, do you want to look back on all the little ways that people slighted you? Or do you want to look back on a life filled with love, compassion, and forgiveness? By accepting your own imperfections and the imperfections of others, you enhance your ability to cultivate intimacy. I encourage you to try these three things. Acknowledge your monsters. Cultivate Quiet. Offer Forgiveness. You’ll experience an increase in intimacy. You’ll deepen your connection with your partner. Let me know how it goes. Leave your comments below. 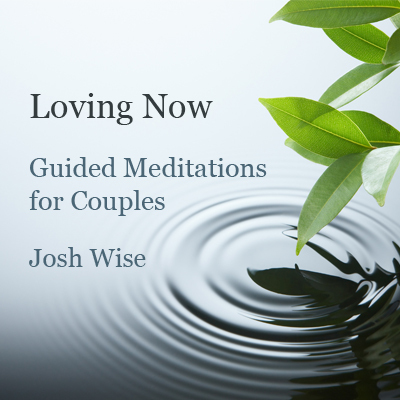 If you’d like to download guided mindfulness exercises for couples, check out my latest cd, Loving Now: Guided Mindfulness Exercises for Couples. This entry was posted in Bali, Intimacy, Relationships. Bookmark the permalink.